Voters in North Dakota, Ohio, and Arkansas approved medical cannabis programs in 2016. Louisiana legalized medical marijuana through ultra-restrictive state legislation in 2015. Yet, none of these states have been able to achieve what Oklahoma has accomplished in just six months: the first sale to a registered patient. Oklahoma state Question 788 was passed in June 2018 with 57% support and has created one of the most liberal medical cannabis programs in the United States. The broadly written, citizen led ballot initiate included quick deadlines and required regulators to grant a licensee to every qualified applicant. Governor Mary Fallin agreed to place Question 788 on the June primary ballot instead of the November 2018 general election ballot. This move has allowed businesses more time to ramp-up ahead of the state Legislature returning for the 2019 session in February. 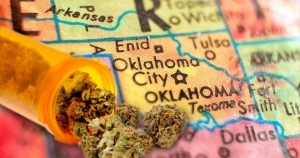 In August 2018, the Oklahoma State Board of Health (BOH) attempted to make the program more restrictive by placing a ban on smokable flower and requiring a pharmacist in every dispensary. The public was outraged, and the state’s Attorney General quickly weighed in with a legal opinion, halting the BOH’s efforts. licensed businesses operating by that time. Governor Fallin approved new labeling, packaging, and testing rules for food products that contain medical cannabis on January 9, 2019. The new rules require marijuana-infused food and beverage makers to comply with the state’s current food safety laws as well as the labeling and packaging laws for available cannabis products. Further rules are expected to address key areas such as lab testing, product diversion, and security. Meanwhile, municipalities, counties, and cities are struggling to adopt their own regulations, including zoning restrictions or fees to regulate MMJ businesses. Questions still remain as to whether or not local regulations violate the language of Question 788. Additionally, it is anticipated that the loose rules currently surrounding the physician patient relationship will also remain intact. Oklahoma’s medical marijuana program does not have a specific list of conditions, and physicians can recommend the drug to patients as they see fit. Doctors aren’t required to register with the Oklahoma Medical Marijuana Authority to recommend medical marijuana ̶ all physician registrations are voluntary. 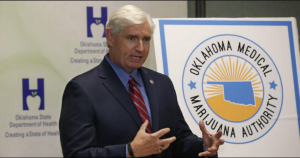 “That is the absolute marquee, principle feature of our law, we will absolutely maintain that,” said Chip Paul, chairman of Oklahomans for Health and a principal author of the MMJ ballot measure, Initiative 778. I believe that we are witnessing a truly historic event with Oklahoma’s “free market” approach to medical marijuana. While many have compared the Oklahoma licensing structure to other uncapped markets, i.e. – Colorado, Washington and Oregon, there are many unique features that could ultimately affect this markets outcome. Oklahoma did not have an existing cannabis program or statewide decriminalization policy before the lightning fast implementation of State Question 788. There was no “grey market” or widespread black-market cultivation scene present in advance of medical legalization. Unlike the west coast, all market participants are starting from the same point, with the same set of obstacles and challenges. The first cultivation permits were awarded in September 2018, just two months after the law was passed. Retail outlets began opening just four months after legalization. More than 30,000 patients have been approved and that number is expected to increase to around 80,000 by the end of 2019. This is despite two major health care systems, i.e. – Saint Francis and Oklahoma State University, prohibiting doctors within their systems from recommending medical cannabis. As of January 14, 2019, 848 dispensaries, 361 processors and 1,385 commercial growers have already been licensed. It is estimated that over 100 dispensaries and 500 growers are already up and running throughout the state. Annual dispensary sales are expected to hit $150 million – $250 million within three to five years, which would equate to $10.5 million – $17.5 million in sales tax revenue for the state. Most large, multi-state cannabis operators have stayed out of Oklahoma for now. This could change quickly once final state regulations are in place this spring. 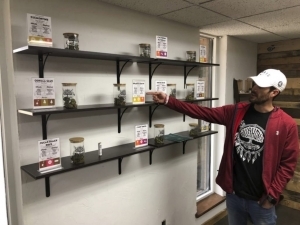 With business licenses to grow, sell, and process cannabis being unlimited and easily attainable, the number of applicants is expected to continually grow. In fact, Oklahoma’s active license numbers have now caught up with Washington State and only trail California, Colorado, and Oregon, which are all non-medical, adult use markets. However, questions remain as to how many of these permitted businesses will actually get up and running. For the time being, medical cannabis in Oklahoma is a sellers’ market. As the first harvest hit dispensary shelves, many medical marijuana patients were surprised at the price tag. Retail ounces have been priced between $350 and $450, with licensed cultivators reportedly receiving $3,500 – $4,500 per pound. Over time, only the most efficient growers, retailers, and manufacturers are expected to remain profitable, and prices will trend downward as growers and infused product manufacturers scale up this spring. Growers should be prepared to see average wholesale prices plummet to about $800 per pound within the next 18 months, with retail ounce prices bottoming out around $150. With a large portion of market share still up for grabs and many well capitalized, established players watching from the sidelines, medical cannabis in Oklahoma may be the single best opportunity for small, yet business savvy, cannabis entrepreneurs in the United States today. However, businesses will need to focus on cost efficiency and execution of a well thought out and data driven business plan in order to survive. With experience in serving over 250 licensed marijuana companies throughout the U.S., the Bridge West team can help you implement strategic approaches and solutions for audit, tax, accounting, operations, software, cash management, and banking issues. Article By: Peter Prevot, Senior Business Consultant with Bridge West LLC. If you have any questions or would like to learn more about how Bridge West can adapt your companies’ financial practices to navigate this increasingly complex and competitive business environment, please contact Peter Prevot, Senior Business Consultant with Bridge West LLC, at 225-571-7617 or pprevot@bridgewestcpas.com. What does the 2018 Farm Bill mean for the status of CBD? What is Your Cannabis Business Worth, and Why Should You Care?